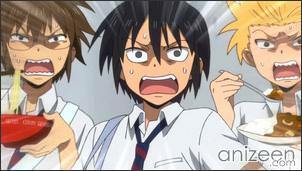 Tadakuni, Hidenori, and Yoshitake are students at Sanada North High School, an all-boys academy. One day, Tadakuni asks what is needed to date a girl? 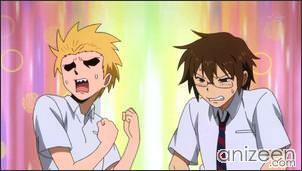 Hidenori tells him they must practice, and quickly, Yoshitake takes the female character and begins playing. 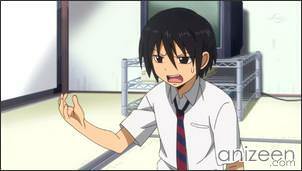 Shy, Tadakuni begins to play along and Hidenori rushes in playing the role of a teacher. 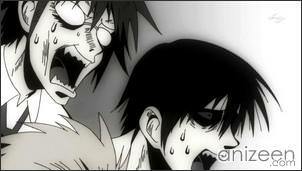 Somehow, Tadakuni is serious about this game, but Hidenori and Yoshitake can’t take anything seriously. Anyway, Tadakuni is serious and begins to play his character to the perfection. 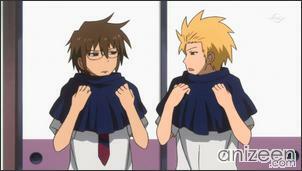 Even Hidenori is impressed, and he tells Tadekuni that he will be able to get any girl she wants. Unfortunately for him, he recalls they are attending an all boy’s school. Another day has come, and as usual, Hidenori and Yoshitake are at Tadakuni’s. 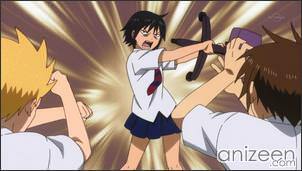 He is a little annoyed that they are always at his place, but before anyone leaves the room, Hidenori asks Yoshitake about his thought on girls’ skirts. Their teen-ager thoughts begin to go wild with the idea of walking around with the underwear exposed. Hidenori asks Tadakuni if they can borrow some of his sister’s clothes, before he can answer, Yoshitake has a couple skirts and some underwear from Tadakuni’s sister. Tadakuni tells them that it is a really bad idea, but his words reach nobody. In the end, Tadakuni is dragged along and ends up wearing one of the skirts. Of course, punishment will be part of the game as Tadakuni’s sister enters the room. 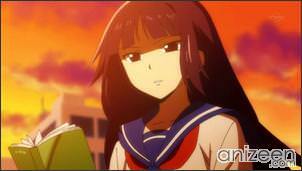 Tadakuni is a student in Sanada North Boys High who acts as the straight man of the group. 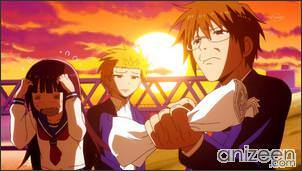 He is usually involved in Hidenori and Yoshitake’s wild ideas despite his disapproval. He is good at telling ghost stories. He has a younger sister whom he hardly talks to and is stronger than him and his friends. He also works part-time at a pizza shop. 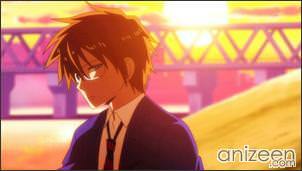 Hidenori Tabata is also a student of Sanada North Boys High, he is the one that usually gets the group involved in his crazy schemes. He used to be bullied in the past until he was saved by Rubber Shooter. His older brother, Yuusuke used to be the ringleader of the group until he went off to college. 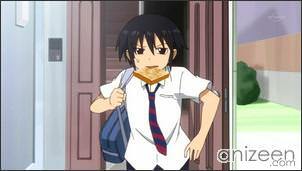 Danshi Koukousei no Nichijou(男子高校生の日常) is a manga series written by Yasunobu Yamauchi. The manga was first published on the online magazine GANGAN ONLINE on May 21, 2009. 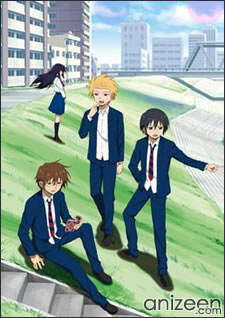 An anime adaptation began airing on January 10, 2012. It seems that a 2nd anime season is already on the works. Opening Theme: “Shiny Tale” by Mix Speaker’s,Inc.